Let us continue to fuel the dreams of more Hungry Minds scholars! We would like to thank everyone for supporting our recently concluded “Fuel the Dream” campaign for High School scholarships. 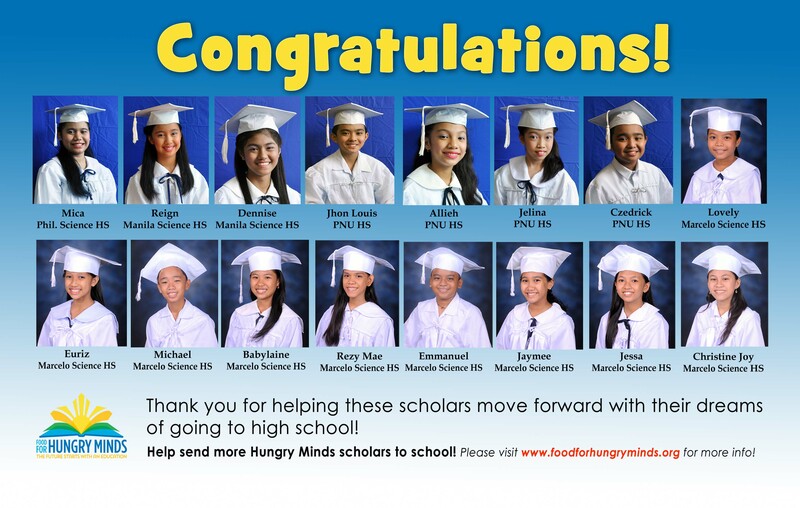 Together, we raised Php 231,750 (USD $5,040) which will support the education of Hungry Minds scholars. We also would like to share the great news that these children made it to top high schools! We will continue to accept support throughout the summer and even during the school year to sustain the children’s education. Thank you for being a Hungry Minds champion, a champion of making lives better!